Hines-Sight Blog: How to Grill the Perfect Spiral-Cut Hot Dog! Hot dog! We're in the dog days of a Carolina summer. 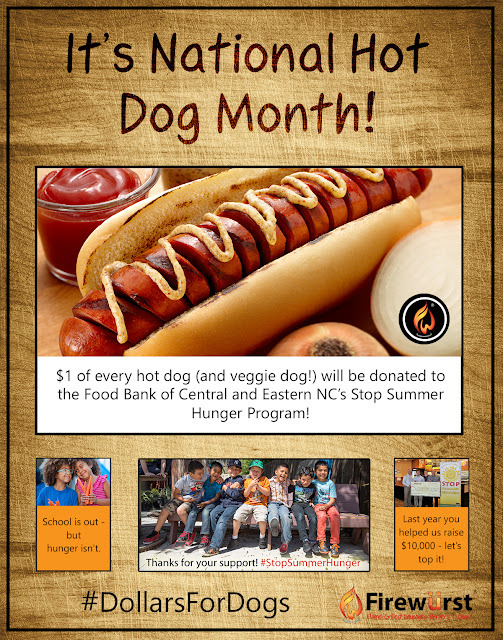 That means that one of my favorite North Carolina founded restaurants, Firewürst, is selling hot dogs this July to help The Food Bank of Central and Eastern North Carolina's Stop Summer Hunger program. This program helps bridge the gap in services for children when school is not in session. Unfortunately, many youth rely on the school system for hot meals and when school is out for the summer, kids suffer. For the entire month of July, Firewürst, will donate $1 for every Certified Angus Beef® Hot Dog and Veggie Dog sold throughout July (National Hot Dog Month) to this worthwhile program. The restaurant has committed a $10,000 donation, You can participate in the campaign socially by using the hashtag #DogsForDollars. Firewürst is consistently rated a top Triangle restaurant, and you will find me in the Harrison Road location every so often. I asked them how to grill the perfect spiral-cut hot dog at home. I've got their tips for you. First, it looks cool and adds a little style to your dog! Finally, the spiral catches toppings in every crevice, making for a more complete taste in every bite! Firewürst has two locations in the Raleigh area. Join the Food Bank of Central and Eastern NC's efforts to to stop Summer Hunger. I think the kids and I will eat lunch there today. Have a great 4th of July weekend, everyone! 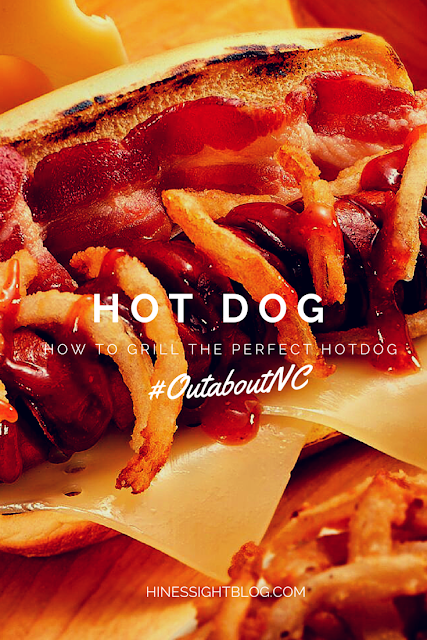 Disclosure: This #OutaboutNC post supports charity and had no sponsorship fees.